I was fortunate enough to find my true calling at the age of 18, when I spent a summer working behind the scenes at a Holiday Inn in Washington, D.C. That’s when I first realised that hospitality is the best industry in the world. And I never looked back. Stories like mine aren’t unusual: half of all hospitality executives got their start in entry-level hotel jobs. And I have been thinking about that. A lot. I have six daughters, and my girls are part of the largest youth generation in human history. This enormous generation is breaking another, more unenviable record: they’re facing the worst youth unemployment crisis in history. The Economist magazine estimates that as many as 290 million 15-to-24-year-olds are not participating in the labour market. If they had the chance, these 290 million bright minds — a group almost as large as the U.S. population — could be strengthening our communities and bringing fresh solutions to the world’s biggest challenges. By failing to invest the time, energy and resources needed to help these young people succeed, we’re jeopardising the future of the global economy. That’s why we need urgent action to solve the crisis of youth unemployment. This crisis has many roots. In some countries, the reasons are cultural — for example, girls may not be receiving the same schooling or job opportunities. In others, the reasons are tied to poor economic conditions or geopolitical issues like the refugee crisis. There’s also a real skills gap. Even in developed economies, where enrolment in upper secondary schools is often near 100 percent, nearly one in five students do not acquire a minimum level of basic skills needed to be gainfully employed. And McKinsey reports that only 43 percent of employers can find enough skilled entry-level workers. Schooling and technical skills alone aren’t enough; young people also need “soft skills” like communication, problem-solving and cross-cultural competencies to be successful. In 2014, Hilton partnered with the International Youth Foundation (IYF) to create the first Global Youth Wellbeing Index which examines the real challenges facing young people around the world. In 2017, we released a second edition of the Index, which surveyed thousands of young people in 30 countries. The Index found that today’s youth may be more digitally connected than ever before, but they are largely disconnected from vital skills and economic opportunities. In fact, the Index found that only 11% of youth are experiencing high levels of wellbeing or an abundance of individual opportunities. This speaks to an urgent need for partnerships that reconnect youth to viable careers and for increased investment in workforce readiness and skills training. The future of our companies, our countries and our world depend on investment in the next generation. We cannot fail them as a society. Hilton is using data from the Index to identify the overlap between our business and the needs in countries most at risk, like Egypt, India, Indonesia, Jordan, Morocco, Nigeria, Saudi Arabia and South Africa. In these countries, we are working to bring soft skills training into communities and offer workforce readiness training through programmes like Passport to Success®and the Youth Career Initiative. As raising awareness of career pathways is critical for youth, we’re opening up our hotels to help them discover the vast career opportunities in hospitality. This addresses another problem we face: in the Global Millennium Viewpoints Surveyof young people’s views of the world and their futures in it, we found that a significant majority of youth were surprisingly optimistic about their future. In fact, 76% of those surveyed agreed with the statement “I will be able to get the kind of job I want.”When asked what kind of jobs they want, nearly half (47%) answered: jobs in technology. Only 17% viewed working in the hospitality business as an attractive option. That is because too many of today’s youth think of hotel jobs as dead-end service jobs. That couldn’t be further from the truth. First, we are and always will be a business of people serving people. Technology is an important part of our business, but it will never replace our people. Our young workers will never face the risk of job displacement by automation faced by those who choose jobs in many other industries. Second, as my own story proves: hospitality provides an upward mobility unlike any other industry. Finally, our business invests a lot in making Hilton a great place to work. From flexible work schedules, to unmatched training and development opportunities, to generous benefits like paid parental leave, our first priority is ensuring that our team knows they are at the heart of who we are and what we do. 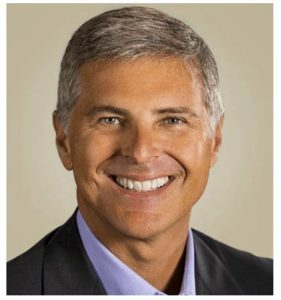 Hilton is committed to exposing one million young people to careers in hospitality by 2019 either by employing them directly or by connecting with them through our supply chain and volunteer programs, through our mentorship and training programs, or through our annual Careers@Hilton celebration. Since launching our Open Doors pledge in 2014, we’ve already reached nearly 800,000 young people. The good news is we already have an important part of the solution. We know millions of young people are searching for jobs, and there are many sectors within the economy that are looking to hire. In fact, the travel and tourism industry — which, as the world’s largest employer, already employs 255 million people — is expected to generate 86 million new jobs by 2026. Having a strong base of passionate, driven, hard-working employees to fill those jobs is essential to achieving our continued growth. That’s why companies across our industry are investing in training programmes and partnerships with governments, NGOs and schools to ensure young people are prepared for finding short-term jobs and longer-term career opportunities. But because this issue is bigger than any one company or one industry, and because it’s so multifaceted, we need to expand our response. We urgently need a broader commitment from all sectors to help more young people become employable and employed. We also need to share best practices and investing in open source research on what works so we can make faster and better progress — research like the Global Youth Wellbeing Index which offers so many important signposts on how to improve youth opportunities through key domains like education and training. Finally, it means investing more government dollars in the public-private apprenticeship programmes that have been so successful in getting young people ready for work. Right here in the D.C. area, for example, former Virginia Governor Terry McAuliffe launched an apprenticeship programme during his time in office, as part of a comprehensive effort to help young Virginians join and succeed in the workforce. We need much more of this type of action. Every day, I see this generation’s energy and fresh ideas firsthand from my six daughters. We have a generation at stake, jobs to fill and economies to grow. It’s imperative that we work together to help all youth in every country advance. 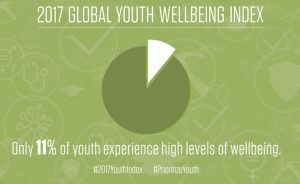 My fellow leaders, I challenge you to use the findings from the 2017 Global Youth Wellbeing Index to inform your investments in youth and assess the opportunities you can provide to make futures brighter for our next generation. For my industry and for all of us, there is no more important investment we can make.